At SVN Rock Advisors, we have years of experience buying and selling apartments. We have seen rent controls give way to deregulation, we’ve seen cap rates fall to the lowest levels in history, and we’ve seen demographics shift to make apartment living more desirable for the wider population. Even so, there are places in Ontario which have stronger opportunities for new investment. The challenge is finding those areas and getting in on the ground floor. In the ROCK Apartment Report, we examined the province in detail, providing summaries of the thirty-one largest centres in the province in terms of their apartment markets. We looked at economic performance, job growth, the state of the current apartment market, trends in vacancies, rents, cap rates and supply. We ranked those markets (see table on the right), and we put together the ROCK Apartment Report as a guide to help developers, owners and investors manage prospective properties for the highest rates of return. However, it is important to note that good returns are available to any investor diligent enough to look carefully at the fundamentals of individual deals, and brave enough to commit funds on a good buy, regardless of the surrounding markets. A poor deal in Markham isn’t better than a great deal in Niagara Falls. We are finding that many smaller buildings are selling for record per-unit prices and many of these are private sales rather than REIT portfolio sales. From this, we believe that smaller business owners are turning to apartments as a safe haven for their money, granting themselves an operating income and growing their investment through land-value and excess density. We have noticed that smaller buildings tended to sell at higher prices per unit than larger properties, highlighting, perhaps, the different attitudes buyers have when purchasing smaller properties. Many of these properties are found in the GTA, suggesting a purchase of excess density. Other investors may be looking at a long-term hold. Is smaller better? Well, smaller properties are easier purchases for new investors looking to get a toe-hold in the industry. But there are risks; per-unit prices this high depend on very low cap rates, a risk given the potential increase in interest rates, and given how heated the market is in the big cities.But buying small may have advantages outside of the big cities. Smaller centres especially look good in the face of some concern over the sustainability in the value of some suburban Toronto markets and other larger-scale secondary Ontario centres. Investors are applying broad strokes in assessing risks in these regions, and it may come to pass that investors will wish that they applied finer strokes and more accurately priced their risk. For more information about the best and worst places to buy apartments in Ontario, you should check out the ROCK Apartment Report, and its profiles of the 30 largest markets in the province. 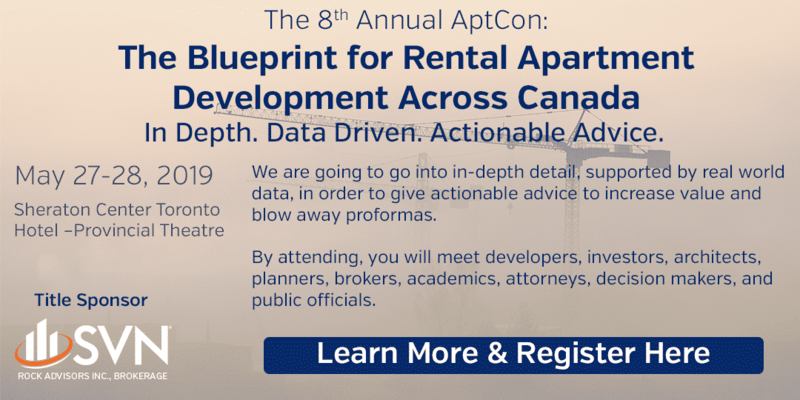 You should also sign up for the ROCK Apartment Transaction Webinar which, each month, examines the latest apartment transactions in the province and offers expert opinions on the goings on of the marketplace. At ROCK, we wish to remind investors to approach all areas with caution in order to get the best returns from their investment. And we can help you get those returns. Simply contact us and put our experience to good use.